Are you searching for driving lessons in Manor Park, or driving lessons near Manor Park with a driving school in Manor Park that has the very best expert driving instructors in Manor Park, that can teach you how to drive and pass your driving test? If the answer is yes, then have a look at our driving lessons Manor Park video below and see what learners say about our driving school in Manor Park. We have over 200 picures of learners that have passed with our driving school and that's much more pass pictures than any other driving school in Manor Park. Book online today and there's nothing to pay until your first driving lesson in Manor Park with your driving instructor. We have been teaching learners to drive in and around the Manor Park and East Ham area for over 25 years now. A Class Learners driving instructors in Manor Park have a good knowledge of all the local test routes for Barking and Goodmayes driving test centres. This gives you an advantage over other driving schools in Manor Park when it comes to taking driving lessons in Manor Park. Call 0208 220 7402 or 07943003001 to Book Your Driving Lessons in Manor Park. As you can see above we offer cheap driving lessons in Manor Park as well as automatic driving lessons in Manor Park and offer these driving lessons near Manor Park and have driving lessons in East Ham too. A Class Learners teach automatic driving lessons in Manor Park with automatic driving instructors in Manor Park that are patient, friendly and highly skilled to make you successful in getting your automatic driving licence. At A Class Learners we offer automatic driving lessons in Manor Park, East Ham, West Ham, Forest Gate, Upton Park, and postcodes E12, E6, E7, E13. Automatic driving lessons are ideal if you are going to buy an automatic car to drive as you will pass and learn fast if you took automatic driving lessons in Manor Park. Our automatic driving instructors in Manor Park are very reliable and have a good success rate in helping learners to gain their driving licences. Just check out our Reviews and see how good we really are. We only have DVSA approved driving instructors in Manor Park, and East Ham. We have male and female driving instructors in Manor Park, that are patient, reliable and friendly. Our Manor Park Driving driving instructors use track records so that you know exactly at what stage of learning you are at every step of the way. Our Driving Instructors in Manor Park have experience with all types of learners from beginners, new drivers, some one who has had a few driving lessons, driving test retake, refresher driving lessons, you have a full driving licence but have not driven in a while, defensive driving, you have been in a car accident and need more driving lessons to build your confidence back on the road or you have been disqualified from driving and need to retake your driving test to get your driving licence again. If you have driven before and had driving lessons from another driving instructor in Manor Park we offer an assessment driving lesson to let you know how many lessons you need to be test ready. We also offer driving lessons to european licence holders and international licence holders who have a provisional licence and need to pass there practical driving test in the UK. A Class Learners the driving school in Manor Park has been established for more that 25 years now and we pride ourselves as being the most trusted and best driving school in Manor Park. We have the most pass pictures than any local Manor Park driving school. Take a look at our pass pictures and see. Our driving school in Manor Park offers automatic driving lessons and manual driving Lessons in East Ham, driving lessons in Manor Park and surrounding areas. Please see our prices page. Our Manor Park driving school covers driving lessons in East London for : East Ham, Forest Gate, Manor Park, Little Ilford, Maryland, Plaistow, Stratford, Upton Park and West ham. Contact us for more information or simply book online and one of our driving schools driving instructors will call you and book you in with our driving school. We also offer intensive driving lessons in Manor Park with A Class Learners. We cover many areas for intensive driving courses including Manor Park and Forest Gate , Upton Park, Stratford and surrounding locations. Our Intensive driving lessons are a minimum of 1 hour. You can take as many hours per week depending upon your requirements. We only offer one to one driving lessons that are tailored to meet your learning needs. If you are searching for cheap driving lessons in Manor Park then we are the driving school for you. 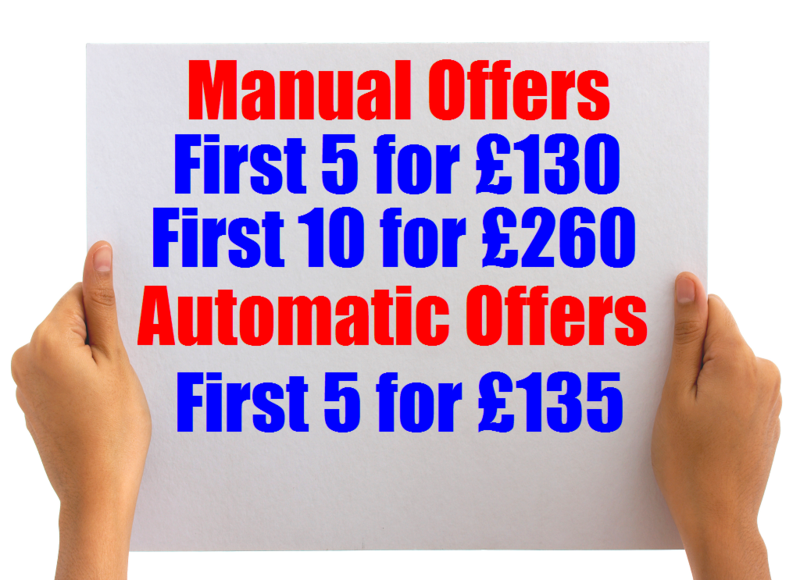 Our prices for driving lessons in Manor Park are cheap and we always like to give a good introductory offer to learners in Manor Park. Book online today and there's nothing to pay until your first driving lesson in Manor Park with your driving instructor. Call 0208 220 7402 or Call 07943003001 to book your driving lessons in Manor Park and East Ham.